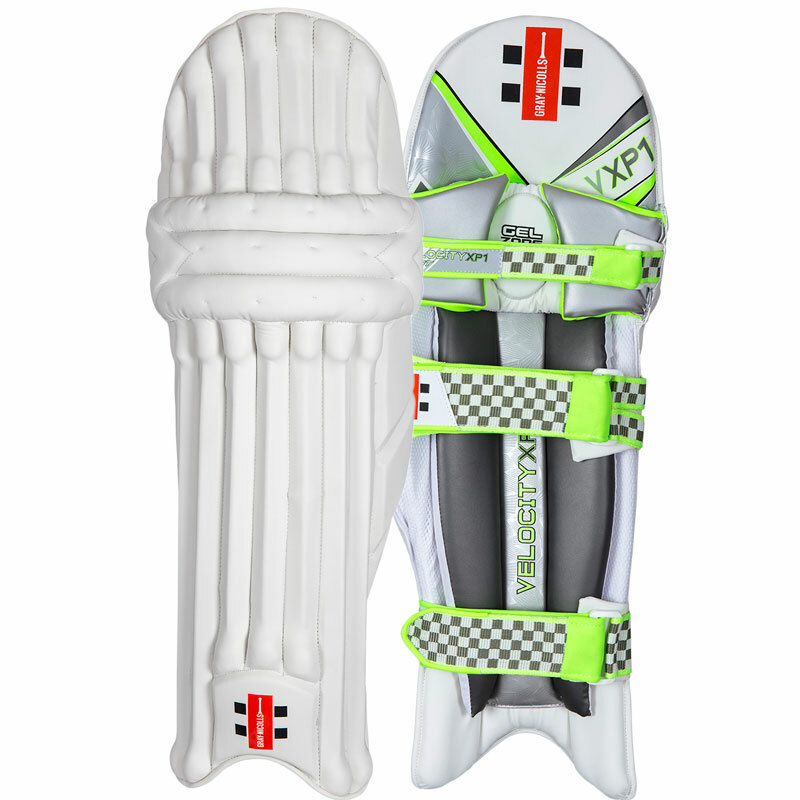 Gray Nicolls Velocity XP1 Test Cricket Batting Legguards - Gray Nicolls pad collection, faster, lighter, quicker than the best cover fielders. Give them another thing to worry about other than your booming drives. 8 Lightweight cane rods with high density foam backing strips and full length internal HDF pre-curved shin section provide maximum level dual density lightweight protection. Gel Zone in knee with additional protective inserts in bolsters and 30mm thich wings provide extra protection. Leh hugging design with "butterfly" designed padded straps and padded buckles plus additional ankle foam for ultimate comfort and fit.